It started out as my long South facing horse shelter. 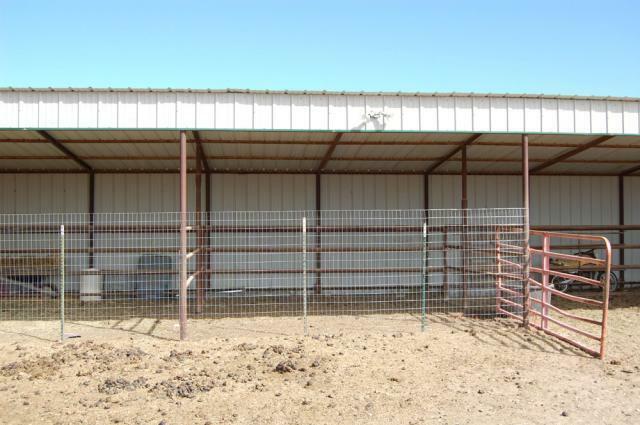 The horse barn is a metal building with steel frame. 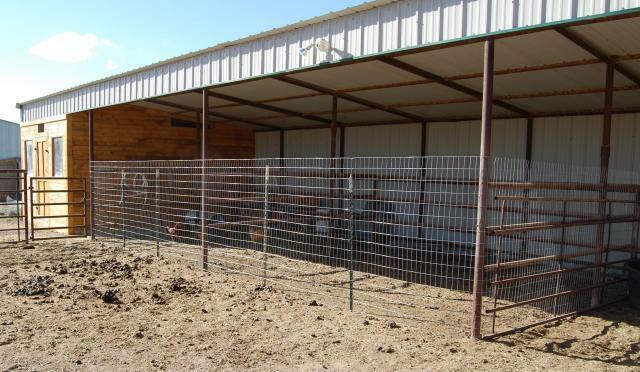 I enclosed 2 of the horse stalls with welded wire for the chicken run. 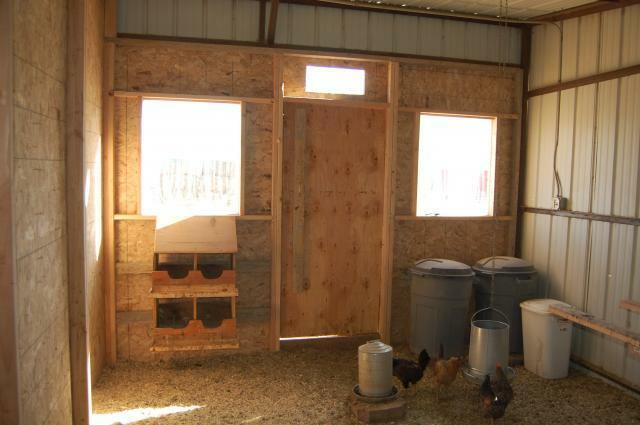 The part where the coop is now, used to be open like the stalls. Then my handy husband made a front wall and a side wall. We didn't draw up plans because we had to work with the metal wall already there. The front wall is 12 ft wide. The shed is 17 ft deep. We used 2X4 wood frame and used self taping metal screws to hook the wood to the metal. We used O.S.B for the walls and old fence pickets for the siding. Cut the pointed end off the pickets and they worked great. Even used pickets for trim. We made a tunnel out of an old culvert pipe for the chickens to get to the run. We had to do a tunnel because there has to be a walkway around to the stalls to feed horses. The tunnel is the white tube on the lower right of this picture. 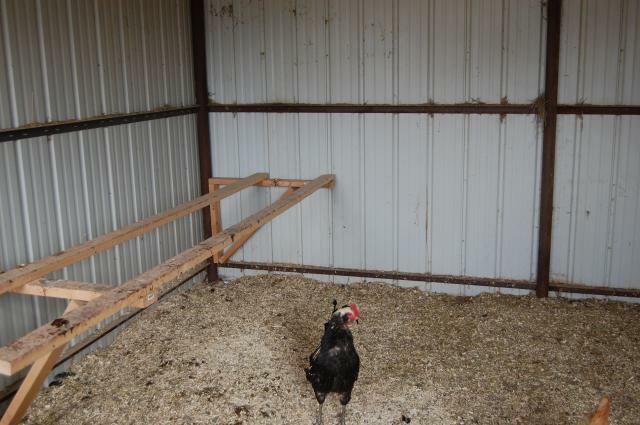 I still have 2 stalls available for the horse. She doesn't seem to mind the new neighbors. 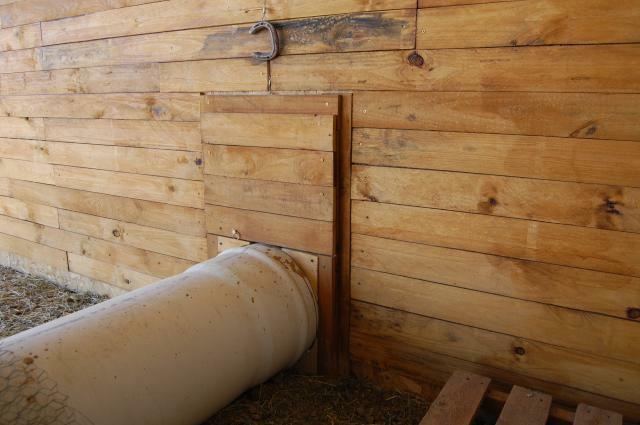 A close up of the tunnel to the chicken run. It has a door on a pulley that shuts. The cable is partly hidden with trim work. Notice the horseshoe pull handle. The interior is still a work in progress. Here is my double decker nest being used by 4 at once. This is how we connected the wood to the steel frame of the building and made a vent. 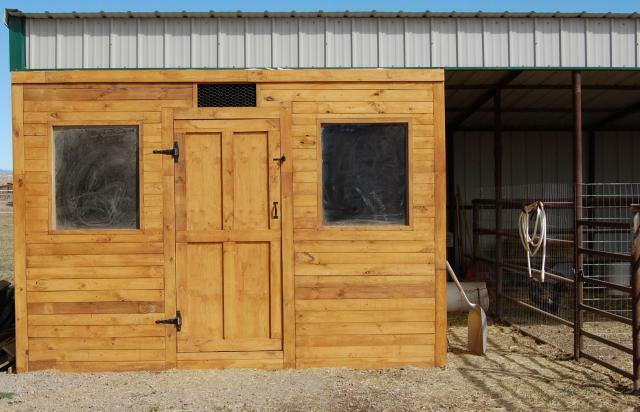 I still want to paint the wood interior and make a few breeder pens inside on the back steel wall. For now it is just wide open. 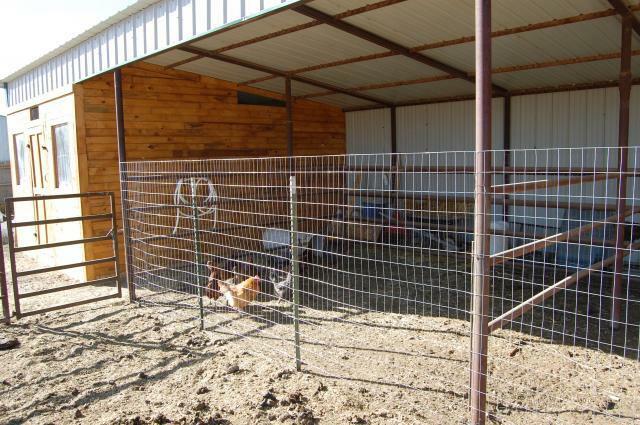 I would also like to put wire around the entire horse pasture so the chickens could "free range" safely. 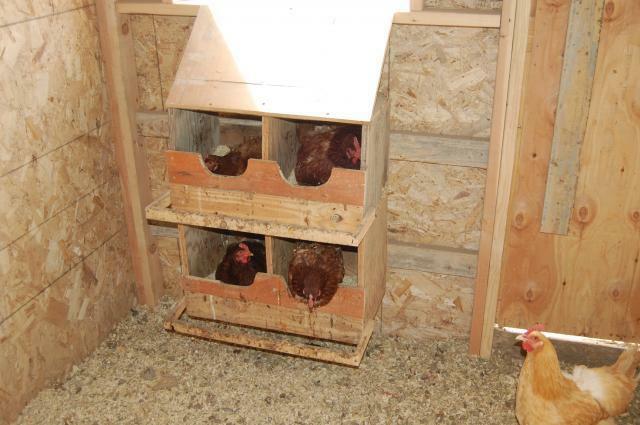 The coop ended up being 12ft X 17ft. 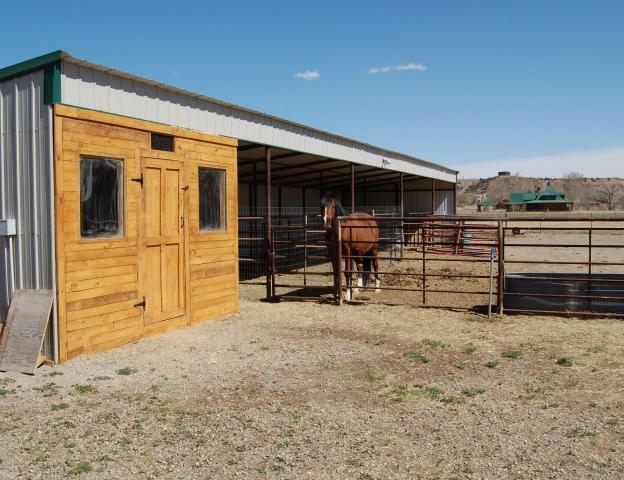 "Would love to see details of build"
"Great Adaptation of Horse Stalls - Roomy!" This is a really nice set-up. The write-up is clear and well-supported by pictures. 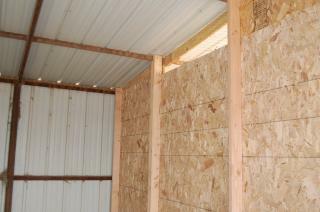 The pics showing how to attach the wood to the metal pole barn sides were helpful. A few hints on what works and what doesn't would be helpful, as well. Your plans for utilizing all that open space inside are good. Please post updates as you make your improvements. I'm sure it will be wonderful!